Tammy was sweet enough to offer to pick me up from the airport at 9:30am on Friday morning at the Seattle-Tacoma International Airport. 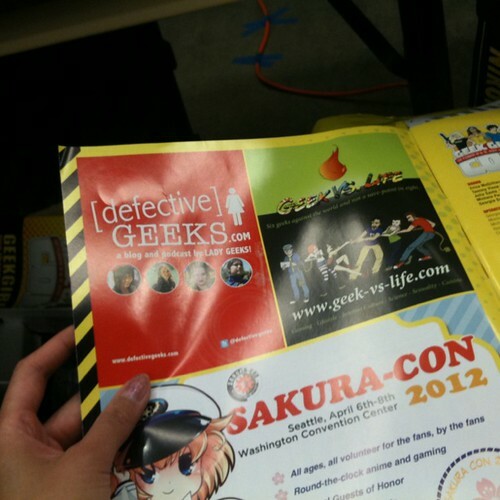 We hung out at her place where she continued to work on Geek Girl Con design materials for print. She is the hardest working geek girl graphic designer! All the while, we chatted and I played with her adorable cats. She also took me to a little drive-thru cafe that was named after my cat! She dropped me off at the Queen Anne Inn Hotel where I met up with Shing Khor of Sawdust Bear who I shared her hotel room with. I’ve known Shing for a few years now but never really got to spend quality/bonding time with her. This was the best way for the two of us to get to know each other more. We got along great with our ‘old lady’ ways and it was kind of cute how we sat in bed before sleeping reading our urban fantasy novels by the lamplight. She let me invade a little section of her table inside the Exhibit Hall for the entire convention. I set up some Defective Geeks business cards, postcards, free pins and our t-shirts from DiscordMerch.com for sale. 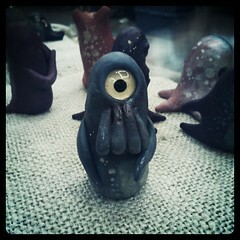 I am happy to announce that Shing did very well and sold many of her handmade monster figures. I sold and gave away most of our t-shirts too. My favorite moment was when a young boy (this was a very family friendly convention) walked up my side of the table and requested one of our “lady geek” pins. 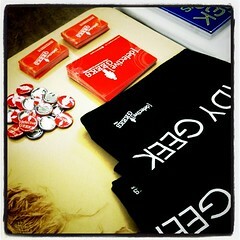 It was cool to see people wearing our Defective Geeks pins and wearing our shirts. We fell in love with the convention fast. Despite my abusive relationship with gigantic conventions in Southern California, I’ve always loved smaller conventions. 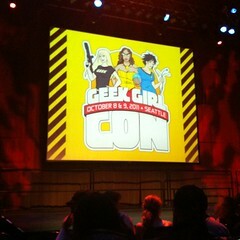 I am so delighted by Geek Girl Con and everyone who attended. Having a table inside the Exhibit Hall was advantageous because it allowed us to talk to almost everyone that came by. It was really cool to see so many people that were sincerely excited and had such great attitudes. Yes, there were plenty of women in attendance but there were also a lot of men! Some times, it’s easy to forget that the most vocal group on the internet are the ‘haters’… we forget that there are also so many people who quietly support and enjoy us nerdy females. It’s great to have this convention represent how things are changing or can change for the better. The whole event felt very comfortable and for once, I felt like there were no expectations placed on me just because of my gender. I only managed to attend three panels– mostly because I was enjoying talking to people at our table too much. It was hard to leave! I did get a lot of “why are you a ‘defectivegeek’ geek?” or “how are geeks ‘defective’?” questions. It was a fair question but I had to explain that the name of this website was a personal development and doesn’t describe the geek community as a whole. 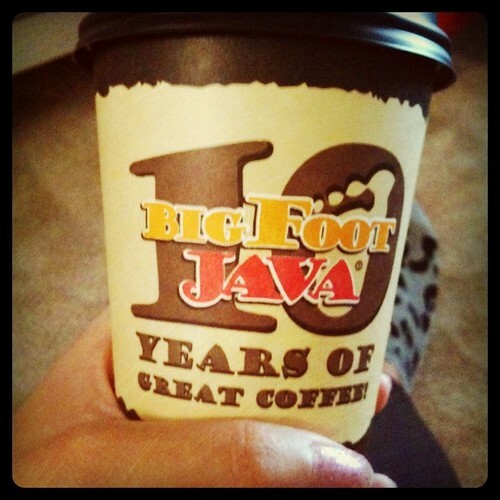 It’s just our name and it has a fun and lighthearted origin story. I do understand if people question what we are trying to say though but hopefully if they check out the website, they’ll know we mean well enough. Either way, at least we are memorable. Back to the panels. To be honest, I would have attended all of them if I could because all the topics were relevant and of interest for me. None of them had a “throwaway” topic. The ones I did attend were fun and very informative. They had intelligent and well spoken individuals delving into different subjects. It was great to listen to a real conversation where I walked away with new ideas and a better view on a lot of the problems that being a female geek have. I will elaborate on a couple of them a little more on separate blogs. Most of all, a shout out to the women who put the entire convention together. The convention sold out! The entire thing ran smoothly. More so than a lot of conventions that has been around for many years. These girls worked their butts off and I am proud of all of them for following their visions and sticking to what they believed in. They’ve created a platform where we can discuss important topics without fear of getting attacked or misunderstood. I believe that it will change our community for the better. I highly recommend this convention to people who care about the geek community, women or men. I met a lot of awesome people and I haven’t had that much fun talking with random geek-strangers in awhile! Personal favorite memory is when we sat in the lobby of our hotel and gathered a group of people by offering them free beer. PS: Did I mention that all these intelligent, nerdy girls were also all gorgeous? What more can you ask for?! Read this blog by Gail Simone, who wrote a more eloquent entry about the convention and why it’s success is significant to all female geeks.